A weekly series of featured artist interviews discussing inspirations, design process, and being creative in the internet-age. “ Hi! 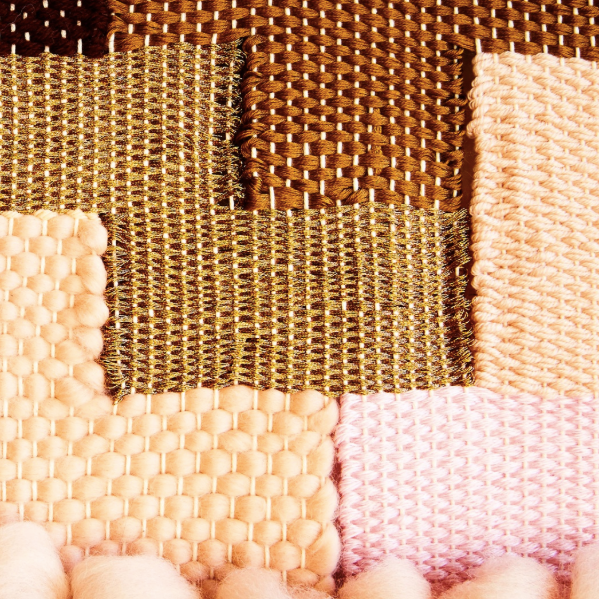 My name is Mariana Baertl and I'm the creator and artist behind Living Fibers. I was born and raised in Lima, Peru’s capital, surrounded by the countries’ traditional handmade trades, specially textile work. Corrie Beth Hogg is a lifelong maker. She is currently crafting realistic plants out of paper, and has recently published a book on the subject entitled, Handmade Houseplants: Remarkably Realistic Plants You Can Make with Paper. Corrie has long been inspired by nature, from growing up near a national park to a season spent working the fields at an organic farm, she has always strived to integrate the natural world into her creative process. 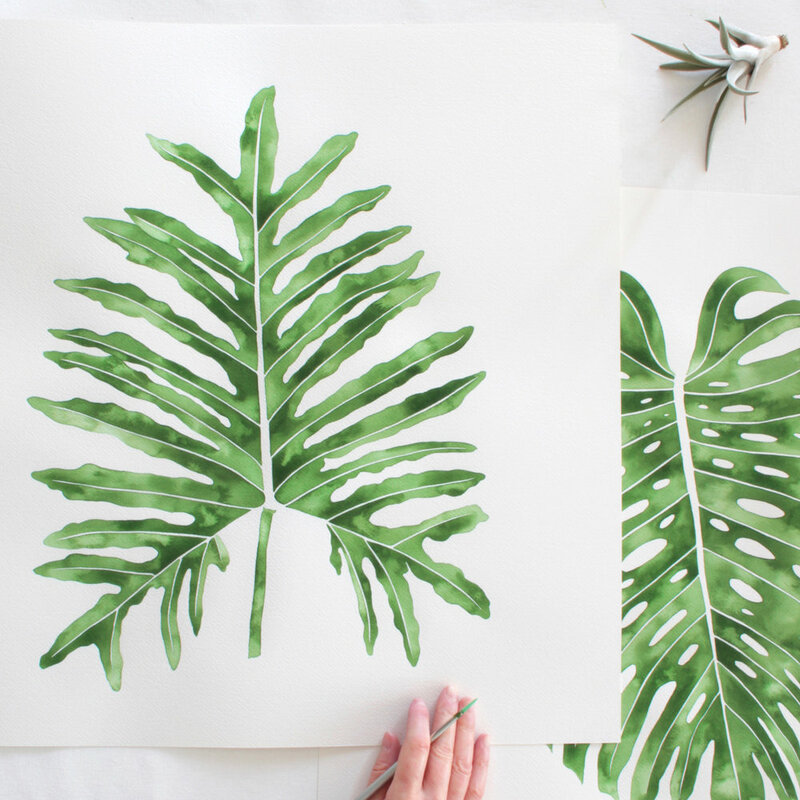 She studies plants, interpreting their visual signatures and details into digestible, clear steps, showing those with even the blackest of thumbs how to recreate them with paper. Vanessa believes in an upcycling effort towards the fight against the negative environmental effects perpetuated by the textile industry. All of the materials she uses come from the dead-stock from local factories which is first cleaned and then selected to recycle and reuse in her projects. 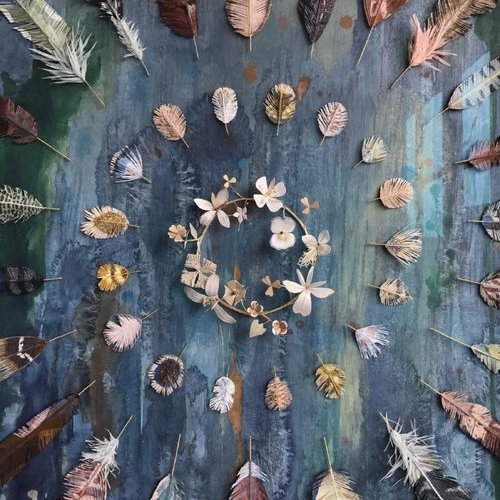 Her productions are completely artisanal and handmade using ancestral techniques, like latch hook, felt, knitting, macrame and crochet, to create her artworks inspired by the coral reefs. Laura Garcia Serventi is an Argentinian painter and illustrator based in Brooklyn . Her work, deeply inspired by her love of the natural world is also related to the memories of her childhood spent in Buenos Aires. 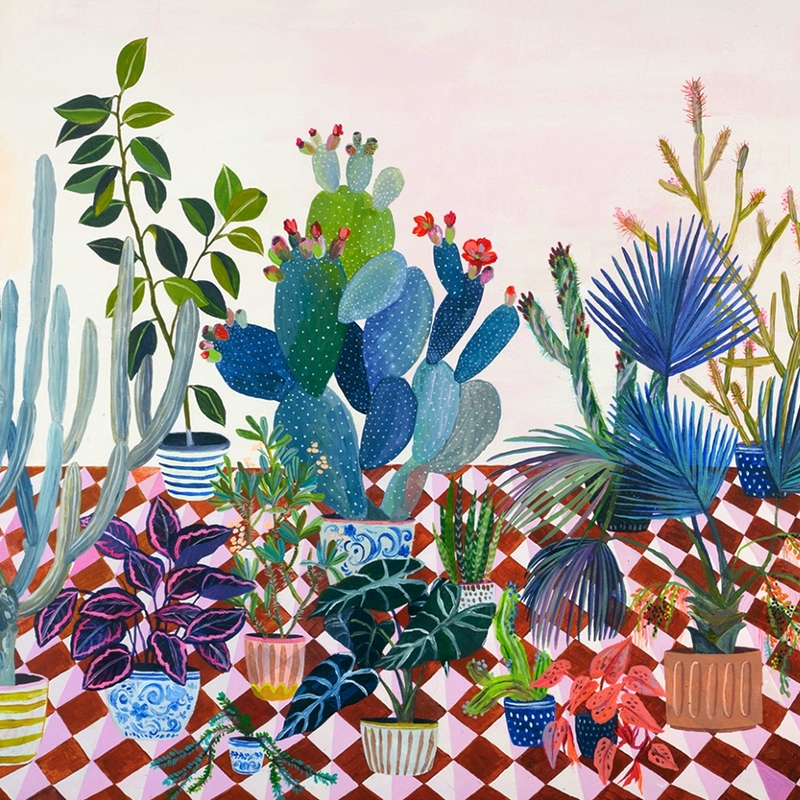 Filled with an exuberant variety of plants, from cacti and succulents to fanned palm trees and orchids in bloom, her paintings are an ode to the botanical world and all its wonders and oddities. Laura's work is always evolving and ranges from large scaled original paintings to affordable art prints, editorial work and collaborations with fashion brands such as Patrizia Pepe and Charles & Keith. She's launching a collection of silk scarves with her designs in summer 2018. Anna Hultin of Olander Co.
Adam Pritchett is a hand embroidery artist based in the Lake District, England—his work is focused around mystical, botanical, and entomological themes, mixing traditional hand embroidery techniques with contemporary subjects, and hand dyed textiles. In her two years at The Royal School of Needlework, Humayrah developed her skills in traditional hand embroidery techniques like Goldwork and Silk Shading and it was here that her love and appreciation for exquisite craftsmanship blossomed. Since graduating, Humayrah proceeded to create an Etsy store (The Olde Sewing Room) displaying age old techniques amalgamated with her growing penchant for Entomology and the natural world. Maryanne is a fiber obsessed maker from Australia working between Melbourne and Brooklyn, NY. She divides her time between designing and creating woven wall hangings, developing weaving kits, and teaching sold out workshops across the world. Maryanne is best known for applying unexpected color combinations to her nostalgic designs. She is inspired by the intricacies of vintage textiles, traditional costuming, modern art, and the natural world. Maryanne’s work has been featured in New York Magazine, ELLE Decoration UK, Anthology, O Magazine, Grazia, Interwoven, and online on Design*Sponge and The Design Files. A finalist in the Martha Stewart American Made Awards in both 2014 and 2015, she sells her work on Etsy and through online shops and boutiques around the country. Hello Tangle is made up of sisters Bibi and Veronica. Bibi has a background in Illustration, and Veronica in Finance, but they have both had a passion for all things crafty their whole lives, driven mainly by their Mum who is an expert quilter and knitter. They have worked in many mediums, but feel they have found their groove with their current obsession – what they call freeform beading and embroidery. Nicole O'Loughlin is a mutli-disciplinary artist, self taught in embroidery. She is a printmaker by trade but turned to embroidery as an easy 'pick up and put down' art form after the birth of her son. Nicole's embroidery work combines pop culture with religious iconography and kitsch embellishment to create witty works that address the role of worship and gender roles in society. She is the author of Print, Pattern Sew: Block-Printing Basics + Simple Sewing Projects, and has recently collaborated with Cotton + Steel on a line of fabric. Sammy Dudley is an embroidery artist based in Camberwell, London. After recently graduating from Kingston School of Art, she has continued her practice from her bedroom studio, surrounded by plants and thread. Her current series of pink themed embroideries draws inspiration from selfie culture, and explores the male gaze within art history by re-appropriating famous paintings and sculptures. She has recently shown a number of these pieces at an exhibition organised by Hewing Wittare, whilst also running embroidery workshops. Dee Monti is the founder and designer of the geometric glassware brand MONTI which she launched in 2015. She is a self-taught glass artist who designs and makes all pieces by hand in her London home studio using glass, copper and solder. Dee has been featured in various publications and often works with private clients to create bespoke pieces. Her current collection is a selection of geometric multi-functional shapes which bring simple geometric design and nature together with the encouragement to be creative with your choice of shapes and how you adapt them to your personal surroundings. Trini is a multidisciplinary artist from Chile. From large scale murals to embroidery, her work is a continuous exploration that seeks to push the limits of her own possibilities and interests, using bold colors and intricate textures. Over the last years she has been focusing on fiber art, something that has always called her attention and that she now shares through her project Cosío, Bordao, Tejío (that means sewn, embroidered and knitted in Chilean). She also shares her personal experience about creativity through teaching embroidery classes and in her book The Embroidery Revolution. Irem Yazici is a self taught fiber artist based in Eskisehir Turkey. Her artistic journey began in 2014 with her interest in craft and she has kept exploring her artistic-self through the medium of embroidery. Her studio practice is divided into two parts: Making embroidered accessories such as pins and creating personal artworks. Her work is a combination of her illustration and embroidery practices, where she explores through color and texture. She creates worlds out of her surreal visions where magical things happen. 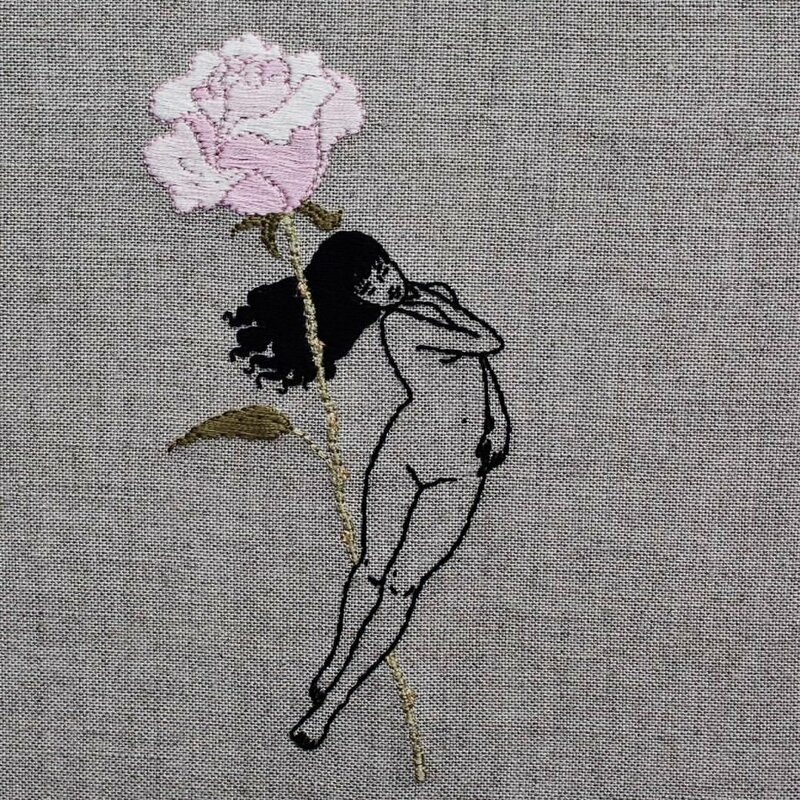 Tinycup is the moniker of Britt Hutchinson (a person not a brand) who creates one of a kind, free hand embroidery pieces meant to reflect the myriad of feels connected to one's humanness. Chloe Amy Avery is a London based artist with a Masters Degree in surface textiles for fashion. Chloe hand embroiders large scale, intricately detailed art-work as well as wearable pieces. Her style is hyper-realistic impressionism, using food and nostalgia as the inspiration for her work. Food carries memory and culture. It tells our stories. At first glance Chloe's work could be mistaken for paint. 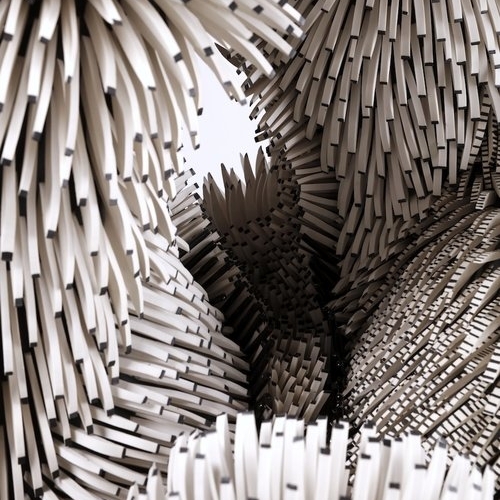 But the atypical medium and texture of thread forces the viewer to question what they see. Patricia Larocque is a Canadian embroidery artists currently struggling in Lyon, France. She works from her home studio which is really just her kitchen table let's be real. She currently enjoys creating anxiety ridden patches that are close to life representations of herself and her daily life. She enjoys being her own boss and hopes that one day she'll be about to quit her day job. Elsie Goodwin is a Fiber Artist, Wife and Mother to two girls. Her focus is on Macrame, but she has a strong background in Knitting and Crochet and has most recently taken up Floor Loom Weaving and Punch Needle; yes, tell her your craft involves fiber and she is in. She offers Do-it-Yourself Macrame Patterns and Kits as well as teaches workshops and thrives most when she is able to teach others. Liz Payne is an artist from Sydney, Australia. With a background in the visual arts and graphic design, Liz combines this experience with her love of textiles & embroidery to produce work that breaks the stereotypes of embroidery as a medium. Often working on a large scale, Liz’s work blends hand painted fabric with thread, beads and sequins whilst she explores colour, shape and pattern, drawing references from an ancient world and bringing it into the today. Liz regularly exhibits her work in Australia and abroad, and has recently collaborated with the iconic fashion label Gorman to produce clothing, homewares & accessories of her vibrant artworks. Rose Pearlman is an artist and art teacher who focuses on textile design. For the past 6 years she has used the traditional method of rug hooking to make modern abstract compositions in fiber. Always the teacher, Rose loves creating new ways of making things simply, and leads a wide range of workshops in the NYC area. In 2014, she invented the craft tool the “Loome”, a hand-held fiber tool that combines weaving, cording, making pom-poms, tassels and friendship bracelets. Her self published craft book, ‘Tied with String’ is an exploration of similar DIY projects and ideas. Her book, along with her OAK Rug Hooking Kits are sold at Purl Soho in NYC. She currently lives in Brooklyn with her husband and two children and an impressive closet full of rug yarn. Breaking the traditional boundaries of craft, Stewart Francis Easton’s work fuses together hand embroidery, sonic art and design based illustration. For Easton’s latest works he has been removing the ‘storyline’ of a visual narrative by creating geometric / graphic forms in stitch. This reassembling of his work ethic in a conscious measured layout enables the viewer to be free of their preconceptions of story. Using a process of abstract minimal stitch he is enabling himself to create a visual reference to an ever changing pathway and reaching for a utopian form. Easton’s stitch work blurs the lines between craft, illustration and fine art making his work dynamic and progressive and a must see. Stewart Francis Easton is a visual storyteller based in London who works in thread, ink, paint and digital media. Olga Prinku is a designer and maker behind prinku.com, originally a handmade wool goods business. She has a background in graphic design, but has always had a strong connection to traditional craft. More recently she's started experimenting with floral art by creating floral designs with real dry flowers on tulle, a technique she developed while styling photos for Instagram that looks like a cross between embroidery and wreath making. Arounna is a fibre artist living in Toronto. She also runs bookhou, a multidisciplinary studio that focuses on screen printing in the making of a variety of goods including bags and home decor items using natural materials. She also works with her husband John Booth in designing and making wood furniture and accessories. Die Trying TX, headquartered in Austin, was founded by Lacy Van Court. Lacy comes from a dusty, long line of West Texas misfits and ranchers that have been in Texas just about as long as Texas has been around. Growing up she spent the summers on her Grandparents’ ranch; where her Grandmother Billie, a Texas landscape painter, inspired a love of making things with her hands by teaching Lacy, among many other things, how to sew and paint. Lacy later went on to earn a BFA in painting from the The Maryland Institute College of Art. Her family history, those early summers, and her home state have always been at the heart of her work as an artist. After working in a variety of creative fields and mediums, she was drawn to the art of chainstitch by its combination of craft, its deep roots in western American culture, and as a way to continue to express the themes important to her work. Using the same hand operated machines that were used to create traditional western wear, Die Trying TX offers a line of one of a kind pieces meant to be collected, loved and lived in. Caitlin Cass makes comics, drawings and counterfeit historical exhibits that folklorize historic failures and foretell grim futures. Often working under the moniker, The Great Moments in Western Civilization Cooperative, she questions the authority of traditional historical narratives by co-opting their power for her own devices. Caitlin draws and publishes a bimonthly comic periodical called The Great Moments in Western Civilization Postal Constituent. Her comics have also appeared in The Public and The Chicago Reader and online at The Nib. She has exhibited her drawings and counterfeit history exhibits nationally and internationally. Recent counterfeit historical exhibits include How to Fly in America (at Hallwalls Contemporary Art Center) and The Museum of Failure (which she has shown in Buffalo, Rochester and Washington, DC.) Caitlin lives and works in Buffalo, NY and teaches Art at Buffalo Seminary. Julie is a painter and pattern designer living in San Diego, California. Her work focuses on bold floral arrangements full of color and expressive brush strokes. She shares her passion for art through acrylic workshops, and through creating paintings and patterns that bring joyful color into your home. Cindy Zell is a multidisciplinary artist based in Los Angeles. Her latest collection of large-scale fiber work features material-driven sculptures that explore gravity’s influence on form. Individual pieces serve as studies on curves, drape, weight, and movement, reinterpreting traditional techniques in rope-making. She also has a line of wall hangings and accessories called WKNDLA, which focuses on individually crafted brass pieces handmade with sustainability in mind. Tasha Lewis is a mixed-media sculptor with a wide ranging artistic practice that includes global collaborative street-art, book design, self-publishing, illustration based on literature, and a variety of hand-sewn sculptures. Lewis works with cyanotype, a historic photographic process also known as blueprints or sun prints, as well as found and dyed textiles. Her studio-work has recently begun to focus on the human figure through the lens of Classical Greek statues. She embellishes the surfaces of these sculptures with embroidery and beading seeking to evoke a “sea-change” of lost artifacts transformed by ocean-life. Lewis has forthcoming solo exhibitions at The Philadelphia Magic Gardens (September 2017) and the Parthenon Museum in Nashville, TN (January 2020). Signed first-edition copies of her book “Swarm the World” are available on Kickstarter now through November 19, 2017. 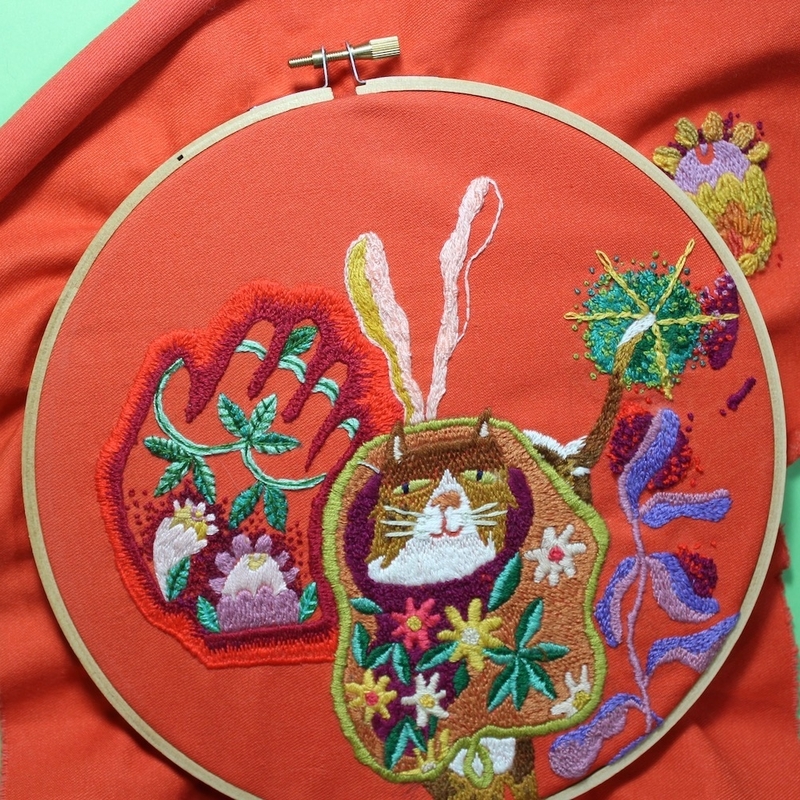 Sara Barnes is an embroiderer and freelance writer specializing in illustration, art, and craft. She has her MFA in Illustration Practice and is obsessed with finding the latest and greatest in the field, which she shares through her blog, Brown Paper Bag. Laura is a visual artist living and working in Chicago. Featuring figurative imagery and dreamlike, minimalistic environments, her current work is centered around themes of self understanding, interconnectedness, and our collective search for meaning. She has exhibited her paintings around the US and abroad, and also does editorial illustration work, murals, ceramic sculpture, and animation. Rachel Edler, owner of Noble Kinfolk is a textile artist from Bristol currently residing in the bright lights of Berlin. She creates her textile works by using the technique, free motion embroidery. It was a technique she discovered whilst studying textiles in college when she was 17, and something she has done ever since. However, it was only when she moved to Berlin that it began to turn into something more than a hobby. Her passion for hoarding bright and colourful fabrics injects a flash of vibrance in her portraits, which are mostly of women in contemplative states, an ode to the busyness of life as a modern day woman, being pulled in different directions. Her favourite pieces to create are her commissioned portraits of people, she loves trying to capture people's individual characteristics in stitch. Tara is a paper artist whose delicate and intricate miniature paper plant artworks explore interior spaces and the plant owners themselves. Born in Zimbabwe in 1984, Tara spent her early childhood in Zambia before moving to Australia. She now lives in Vancouver, Canada, with her husband and two cats (and many plants). Over the last two years Tara has built a thriving art practice and business and creates artworks for clients from all over the world. In addition, she works with select brands to create custom work for their projects including Urban Outfitters, The Land of Nod and last year she lent her paper engineering skills to a commercial for Tide. Libby Williams is a painter and embroidery artist currently based in Luxembourg City. She moved from Tulsa, Oklahoma in 2016 to Luxembourg, where she now divides her time between making art, teaching English, and travelling as much as possible. In her work, she shifts back and forth between abstraction and representation, working with paint and embroidery, often combining the two. Her work explores the potential of color and shape to create expansive and beautifully complex spaces. Jocelyn is an artist living and working in Kingston, NY. She created her brand, PetitFelts, in 2011 and since then she has made it her goal to create high quality, unique needle felted pieces. She strives to make animals that spring to life through their expressions and whimsical humor. She puts lots of love into her work and above all else, she hopes that people can sense that when they come across her creations. She crafts each of her pieces by hand dying wool and using a technique called needle felting. The process involves tangling the fibers of wool with a barbed needle in order to create wool sculpture. Woodlucker is a visual partnership and studio founded by Ann Wood and Dean Lucker after graduating from Minneapolis College of Art and Design. This partnership is based on both individual and collaborative practices. Ann has created artwork in many mediums—eggs shell mosaics, wood sculpture, embroidery, drawing and painting. Currently she is making plants, feathers and butterflies made of handmade paper with wire structures. She came to nature as a subject because it is universal. We pause to look at a flower, pick up a feather, touch a leaf or comment to a companion about a particular specimen. Nature’s beauty is fleeting and ever changing in it’s magnificence. Ann's artwork speaks to the notion that everything is temporary. Ann works from the real, not to duplicate but interpret nature’s splendor. She tries to capture the variety and essence of the real but with the outcome being a heighten reality where the viewers stops to take a second glance. Raquel Martín is a freelance illustrator and artist from Barcelona, currently based in the beautiful and tiny island of Menorca. Often drawing from imagined scenes and landscapes, her work somehow creates a narrative through a uniquely minimalistic style that isn’t only beautiful, but also really fun. Jane’s most in her element when immersed in creating textile art at her studio in Wellington, New Zealand. 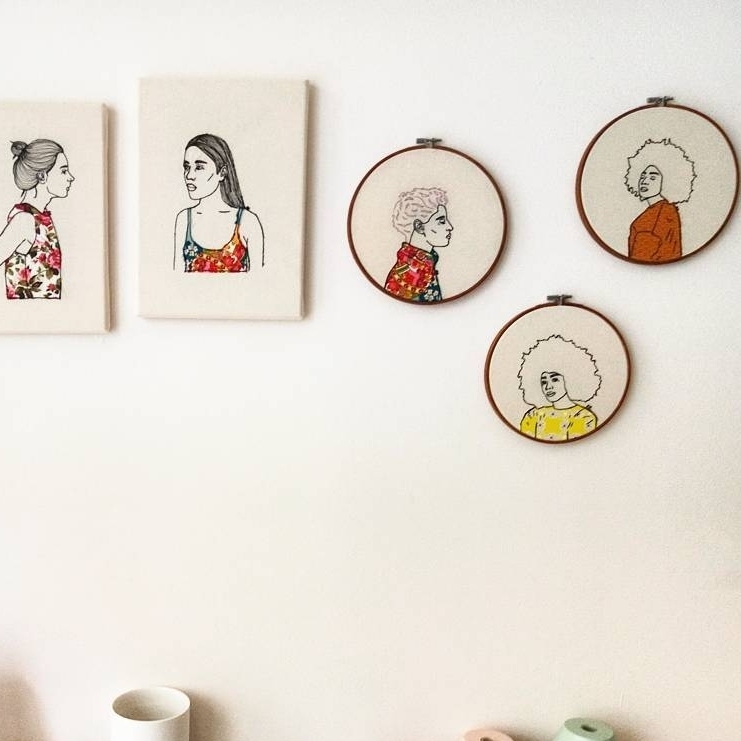 Her love of color and texture shines through in her contemporary hand-stitched artwork, designed to bring a little bit of happiness to people’s homes. 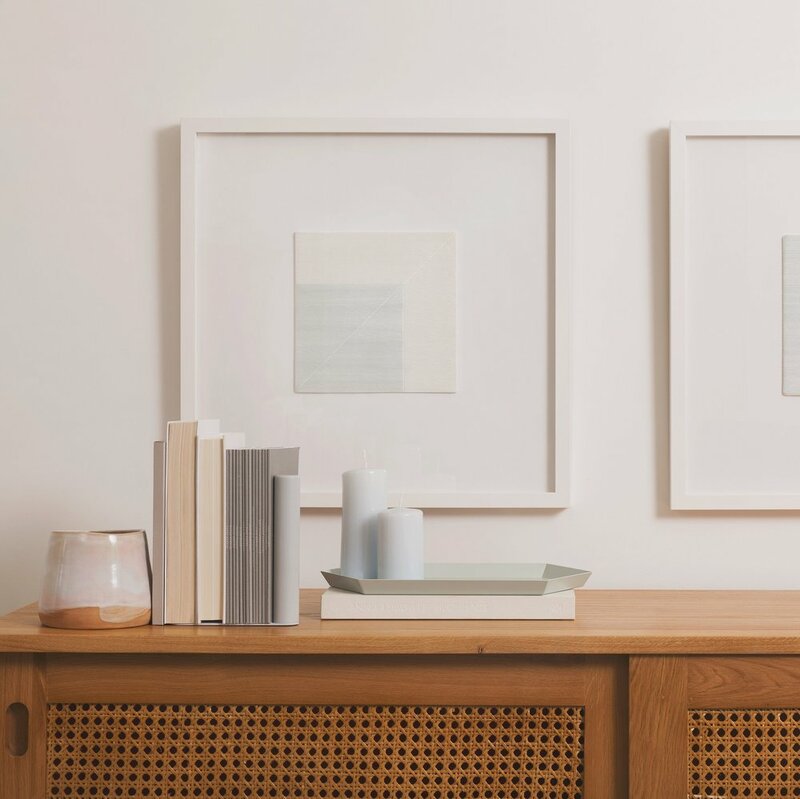 Over the past five years Jane’s work has struck a chord with art lovers across America, who are looking for their own unique, handcrafted piece of New Zealand. To just call Danielle Clough a fiber artist is a bit of an over simplification. While much of her work consists of embroidery techniques in various forms, she's also established herself as a photographer and designer. 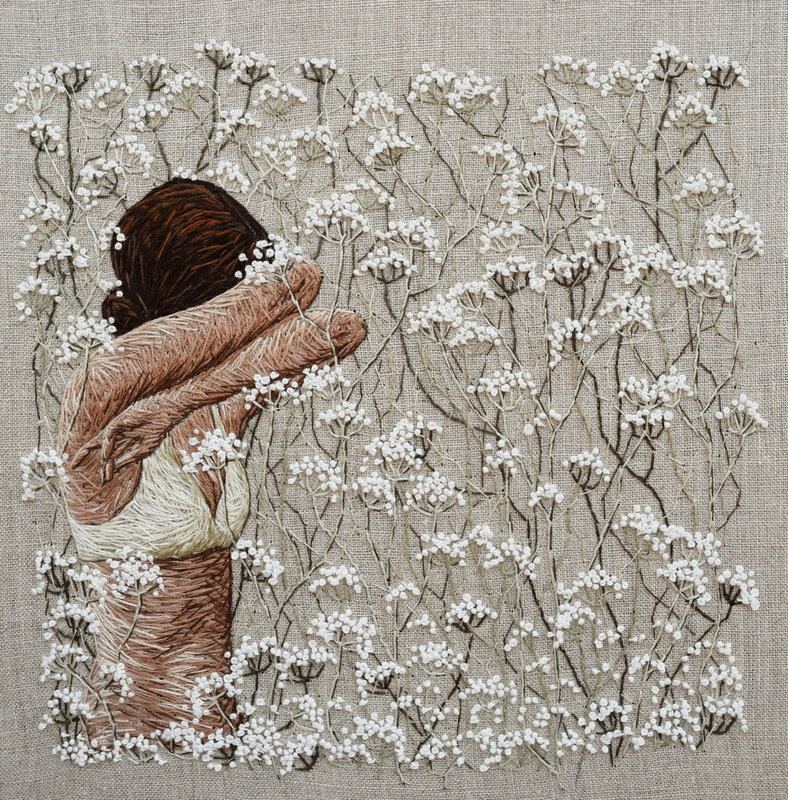 Her embroideries are not only interesting for their compositional techniques, but also for the various materials that support her stitching, such as tennis rackets and chainlink fences. Inspired by the Cape Town street art and music scene, Danielle's work truly modernizes a traditional craft to make it something totally unique and her own. Sara Boccaccini Meadows is a textile designer and illustrator, originally from the north of England. She takes inspiration from nature and the tiny details in her everyday surroundings to create unique and quirky prints and illustrations. She works with a variety of medias including watercolor, gouache, markers and fine line pens and starts her design process by making small studies in her sketchbook or journal. Nalani Gloor is a fiber artist and interior architect based in New Zealand. She studied Interior Architecture and Design at the Academy of Art in San Francisco, before completing her Bachelor of Design majoring in Interior Architecture at Swinburne University of Technology in Melbourne, Australia. She learnt her macramé practice from her mother and started Knotty Bloom as a side business when she moved to New Zealand. With a mission to create honestly made and lasting products, that strive to embody a sense of comfort, care and visual aesthetics. Emillie is a self-taught illustrator based in England. After completing her studies at University in 2015 she pursued a creative career in Embroidery, which she fell in love with during her 2nd year of study. 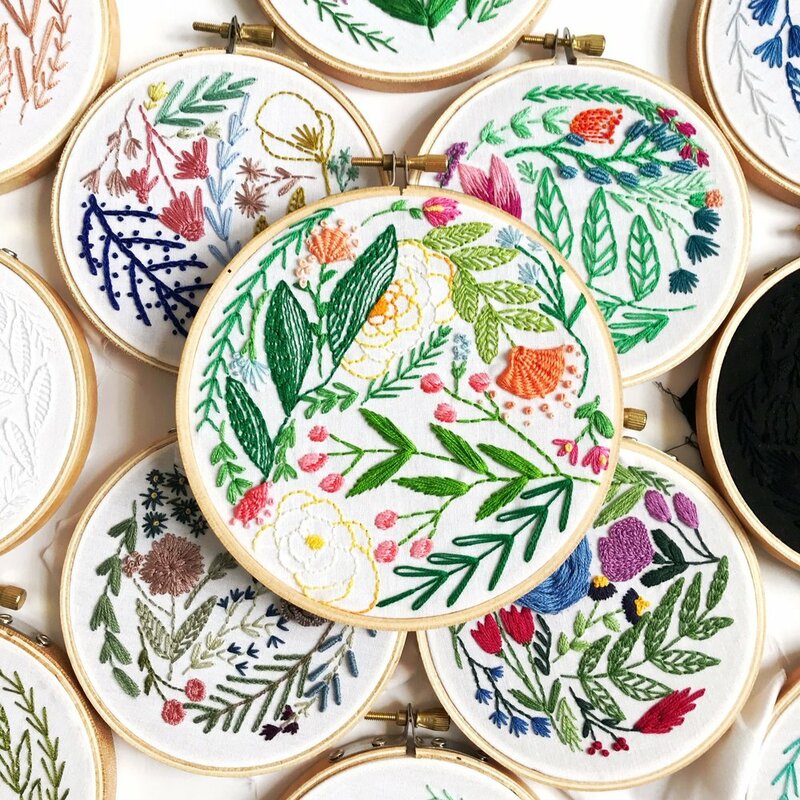 After finding success through the social media platform Instagram, she has been able to embroider an assortment of pet portraits and woodland animals full-time. Emillie hopes to expand her business by embroidering people in the future, hosting workshops & taking part in fairs & exhibitions. Sarah is a illustrator and textile designer living in the creative hub of the inner northern suburbs of Melbourne. She works mainly with gouache on paper and has been painting for as long as she has been able to hold a brush. Sarah's work focusses on close observation of the everyday stuff around her. Lush colour give her paintings an otherworldly feeling, that seeks to draw the viewer in, so they can calmly observe as well. Tessa is a fiber artist based out of Asbury Park, NJ. Using vibrant colors and expressive stitching her work seamlessly crosses back and forth between fine art, craft, and fashion. Often working from observation, Tessa reinvigorates an old world craft with rustic iconography, floral patterns, and plant design into something unique and modern. Bodil Jane is an illustrator from Amsterdam, the Netherlands. She graduated with honors from Willem de Kooning Academy in Rotterdam, specializing in illustration (2014). Bodil Jane loves to illustrate food, recipes, animals, fashion, interiors, plants, packaging and maps. All of her illustrations include hand made elements and digital techniques. Bodil Jane's clients include Wrap Magazine, Red Cap Cards, Unicef, Chronicle Books, and Marks & Spencer, among many others. She is represented by the London based illustration agency Folio Art. Do you think you are a good fit for the Craft With Conscience interview series? If so, please fill out the form below. I can't wait to learn more about your work! Why would you be a good fit for this series? Have you built a creative career using the internet? Have you encountered copies of your work online? Do you have advice you are willing to share with readers? Please be sure to include your website and links to your social media accounts! *Please note that submitting this form does not guarantee a feature. Thank you.